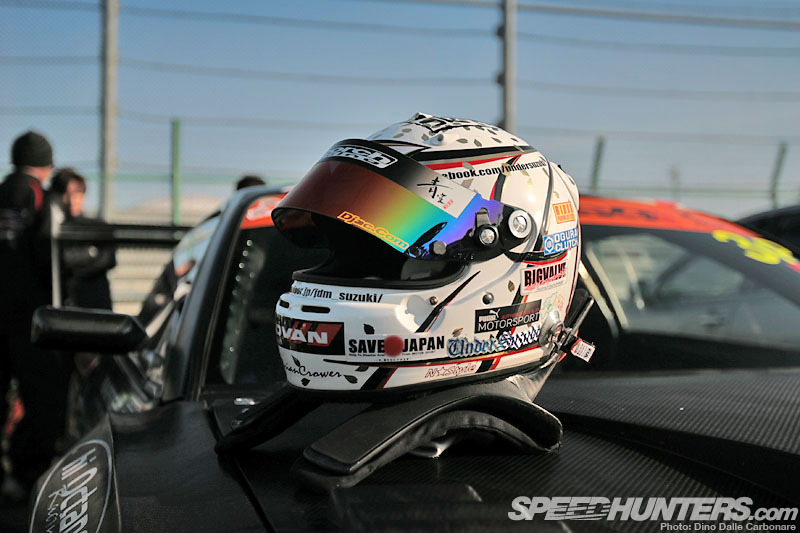 I am going to move along with the coverage from the Tsukuba Super Battle now with one final round up of pictures highlighting the day’s action. 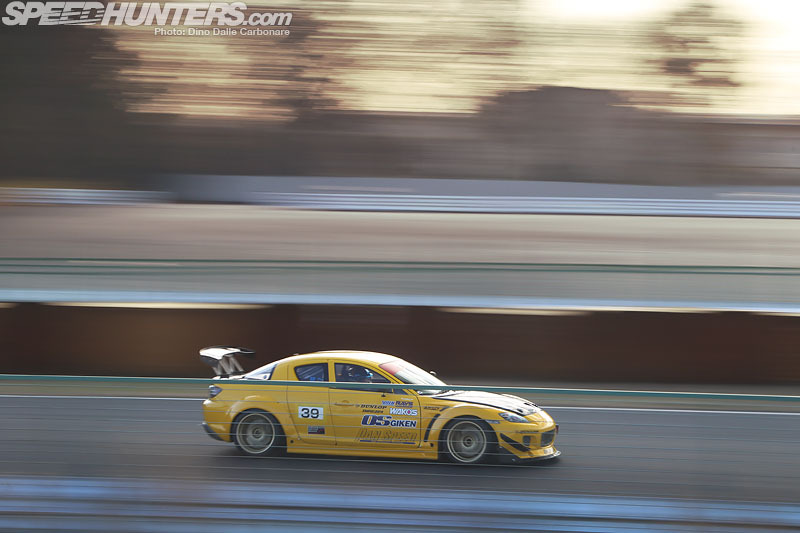 You will see some new cars that I haven’t touched on yet, as well as some we have seen already and that I couldn’t resist reposting more pix of, sort of like the turbocharged Bandoh 86 that Orido was driving, that instantly became the fastest hachiroku in Japan. 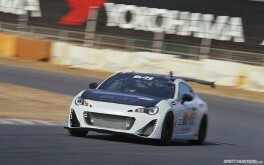 …a brand spanking new BRZ. 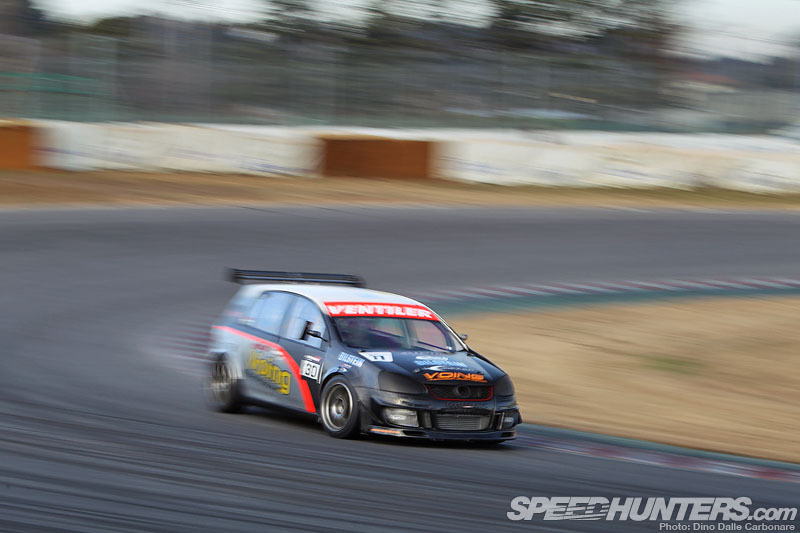 Aside for some basic initial mods the car is still stock and was driven around Tsukuba by Super Taikyu champion Hirokazu Suzuki. The idea was to record some baseline numbers before the development really begins. Best lap of 1:06.812 was achieved on the car’s final outing. 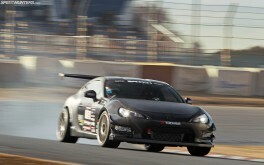 Newcomer DLanguage was present at the event with four cars, including an 86 which on its first attempt got a 1:05.408. The driver was unable to better it. Here is the Revolution 86 hitting warp speed, all 1,060 kg of it. After having seen some pictures floating around on the internet I was quite interested to get a closer look at the Blitz BRZ, which was one of the fastest in its class with a 1:03.456. Like Trust, AVO Turboworld and Bandoh the FA20 powering it has been turbocharged for a substantial bump in power. Curiously enough it’s only AVO that has mounted their turbo low, almost under the engine, everyone else preferring a high-mounted set-up, literally in front of the engine. Different schools of thought but it was the AVO BRZ that had the best sound of all thanks to those unequal length headers! 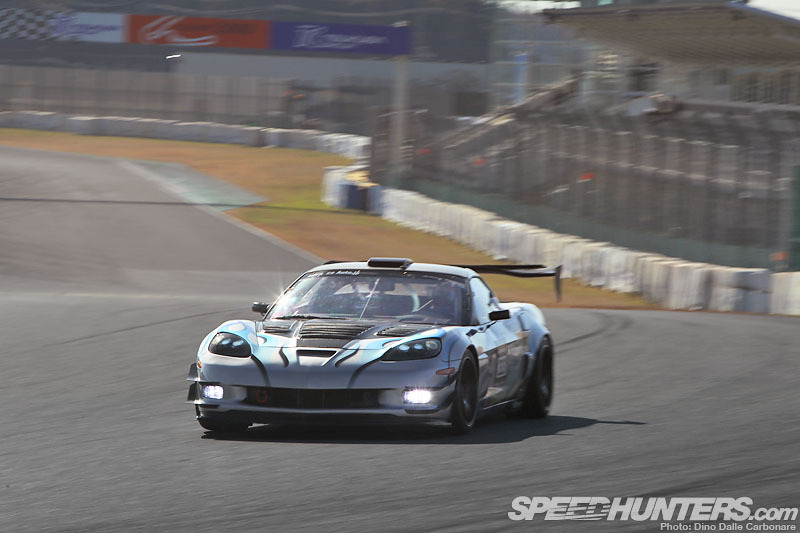 Esprit came up all the way up from Suzuka with their own 86, armed with their signature big GT-Wing. 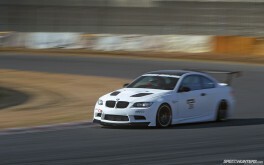 Seeing they are always at Suzuka testing, big downforce is probably what they always shoot for on their cars. 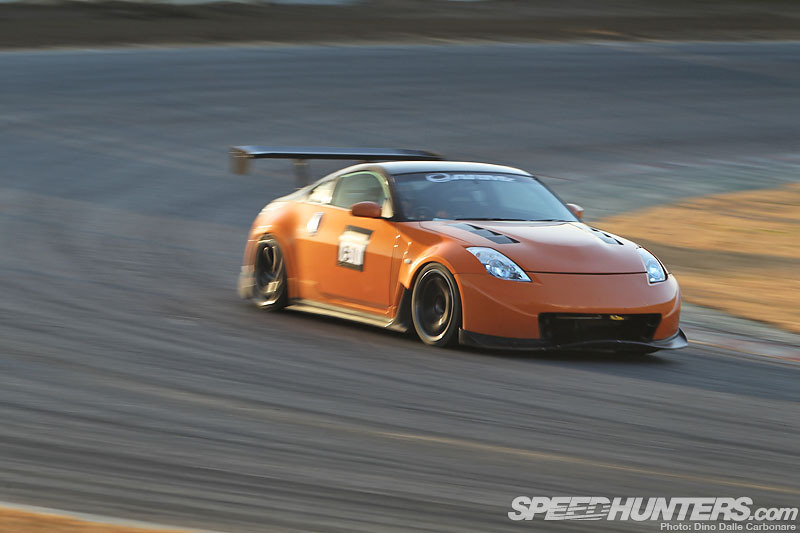 The metallic bronze ZC6 set a fastest lap of 1:03.776 thanks to some forced induction. 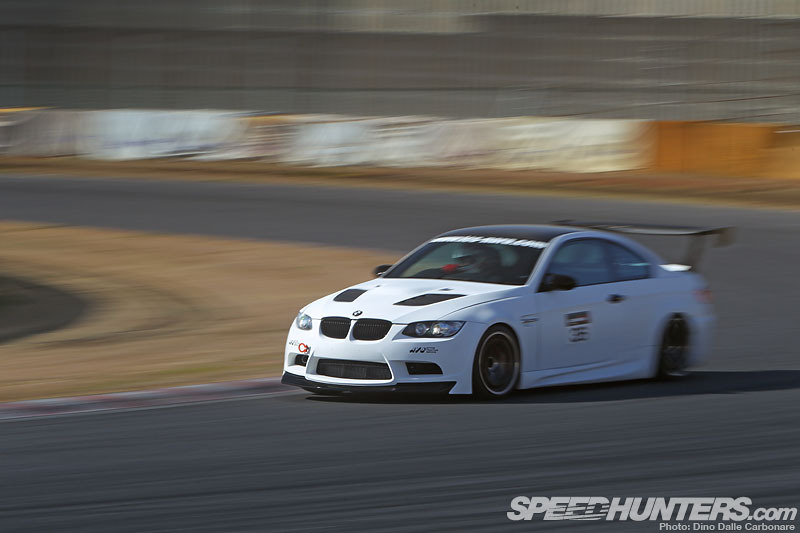 I showed you a couple of shots of the stunning Total Car Service Nara E92 M3, a very serious car sporting the sort of time attack look only the Japanese seem to manage. 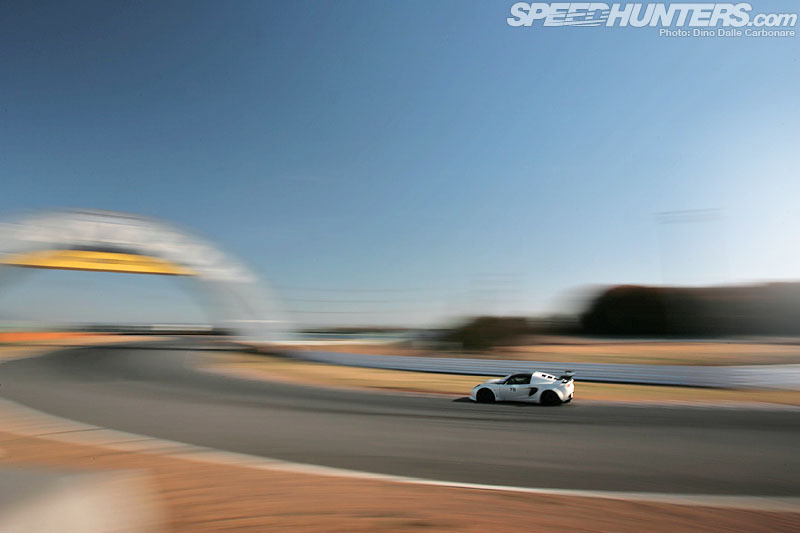 Despite some close attempts it never dipped under a minute, recording a fastest time of 1:00.483. …or power out without drama from turn one. 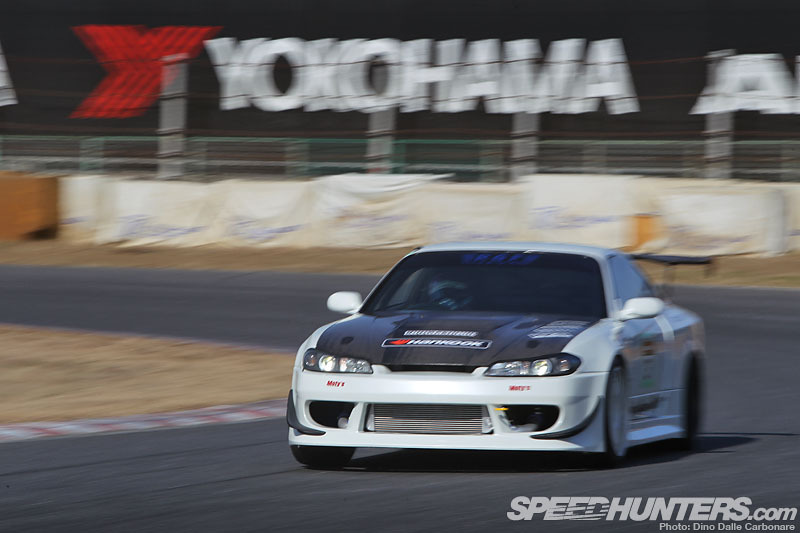 One such cars was the ASM Yokohama AP1 which posted a 1:01.039 and looked so smooth and light on its feet through each of Tsukuba’s challenging turns. 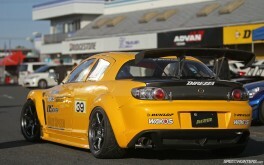 I hadn’t laid eyes on the Pan Speed 3-rotor RX8 since June when I went to see the WTAC cars being shipped off to Australia. 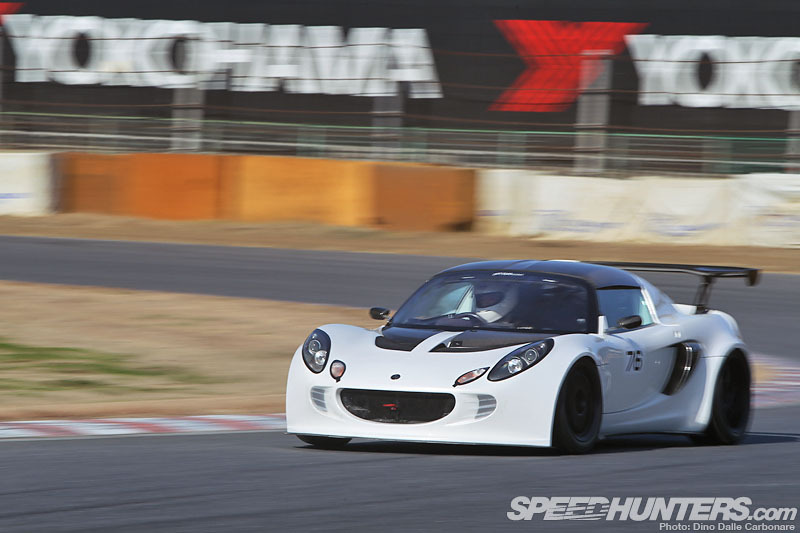 It was a pleasure to hear that custom built motor buzz around Tsukuba, as now-retired Super GT driver Naoki Hattori was out to beat the 1:00.260 lap that the Revolution 3-rotor Revolution RX8 set back in 2010. 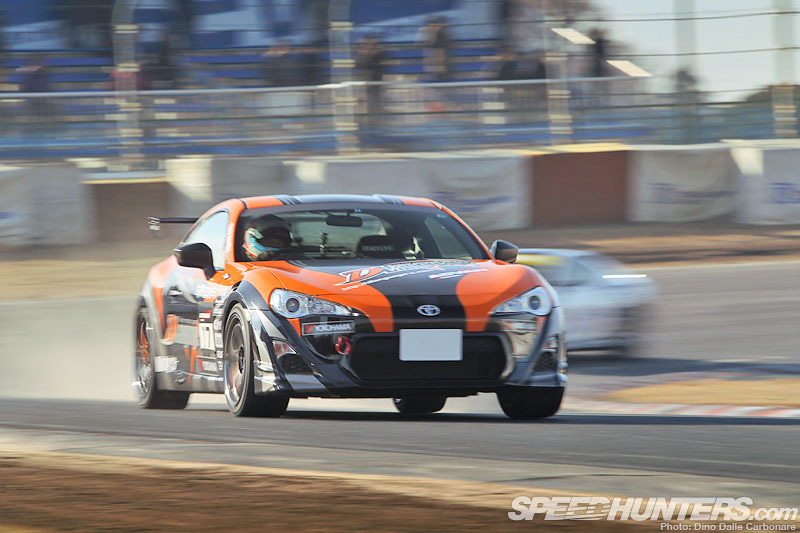 It didn’t seem much of a problem for Hattori, who manages an amazing 58.958 sec lap, making the Pan Speed RX8 the fastest SE3P to ever lap Tsukuba! Some of you wanted to see a few more shots of the Advance Corvette Z06. For years this car has been adding a very unique flavor to the event; among all the turbocharged engines its at times refreshing to hear something resembling a Nascar racer. And Advance have done a great job in slowly improving it, getting the lap time down to 58.148 sec, which is a very solid result. It’s amazing what a fresh paint job does, right? I just had to add a few more shots of the Auto Bahn Soarer which as I mentioned in the preview post bettered its old record with a 59.122 sec lap. There is so much potential in this car I really hope the team and driver keep pushing more! 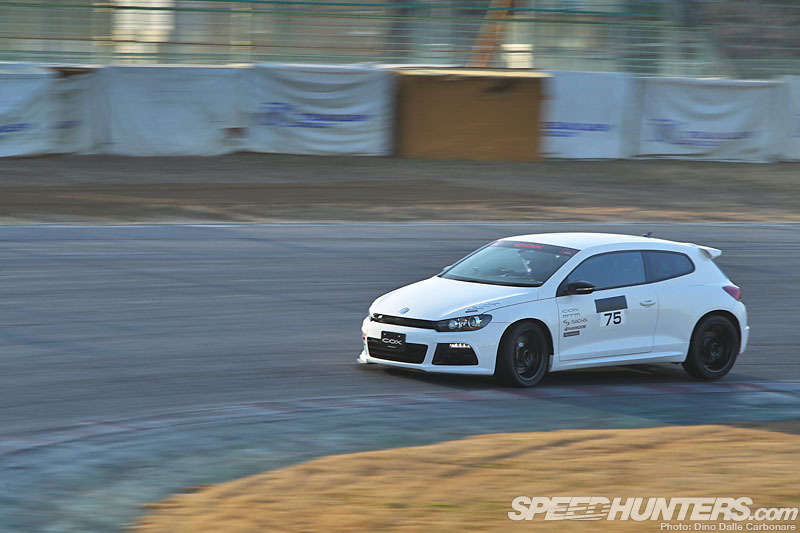 One of the coolest things at Tsukuba are the new entrants and this wild and extreme Ventiler Golf GTI was blasting around the course with so much aggression, struggling for traction at every corner, but despite that ending the day with a 1:01.370! 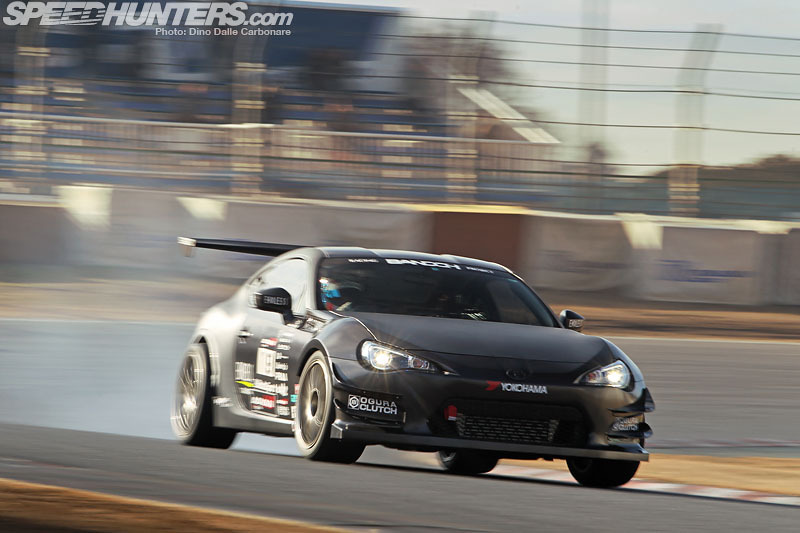 Techno Pro Spirits is never one to miss any sort of time attack event, and with the 86 taking over the paddock it was cool to see another type of Toyota there at least. 1:04.477 was the best the little MRS managed. 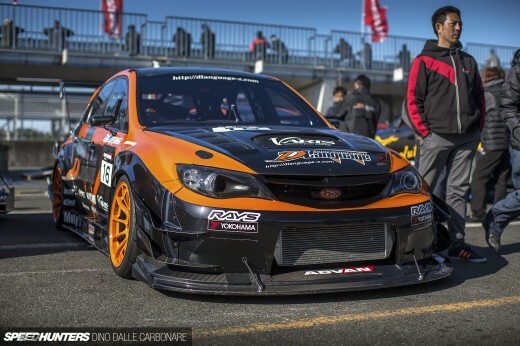 What the Super Autobacs Nagoya Bay GVB Impreza lacked in graphics, it more than made up for in sheer speed. The car is lightly tuned, sporting only basic engine mods and more track-suited suspension, so the 1:03.578 it recorded was rather good! Wow I can’t believe I’ve yet to mention a Nissan in this post! 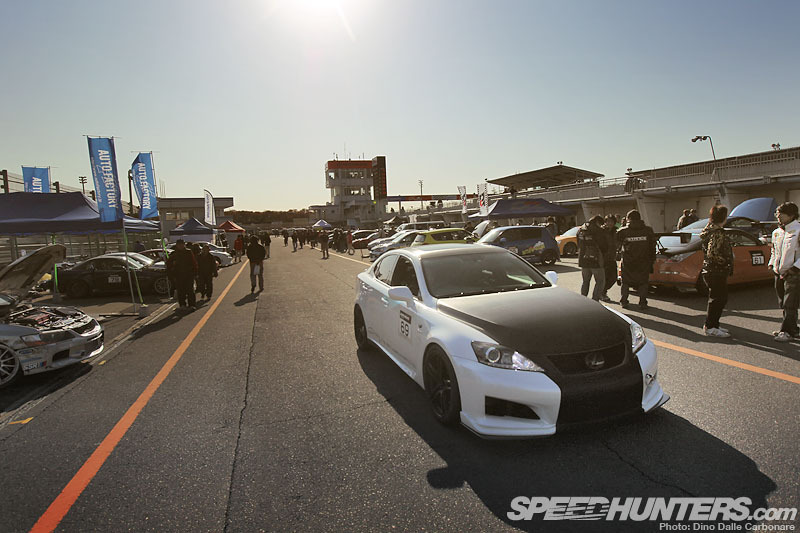 Of course there were a few entered in the event like this 380RS Z33 built by Super Autobacs Sunshine Kobe. 1:02.494 was the best it got with a little sideways action here and there for added flair. 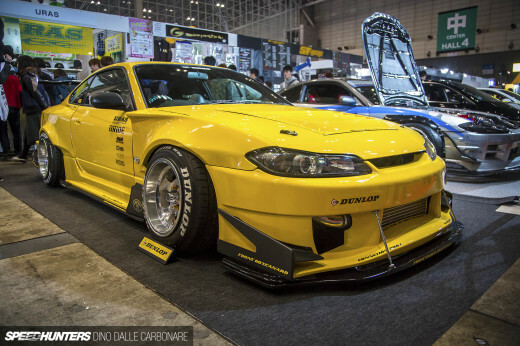 RGF came all the way down from Fukushima, preferring to leave their R34 GT-R at home in order to give this S15 a try. Result? 59.837 sec lap! 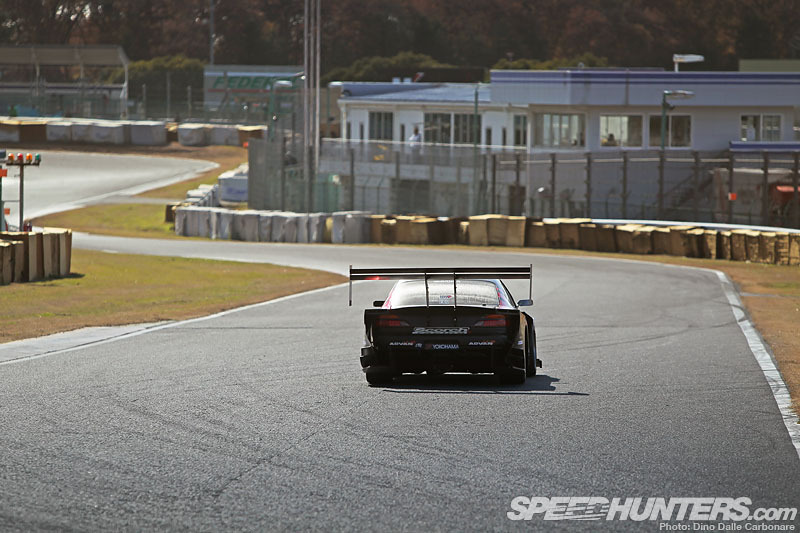 Any car that dips below the minute at Tsukuba means serious business, especially on street tires! 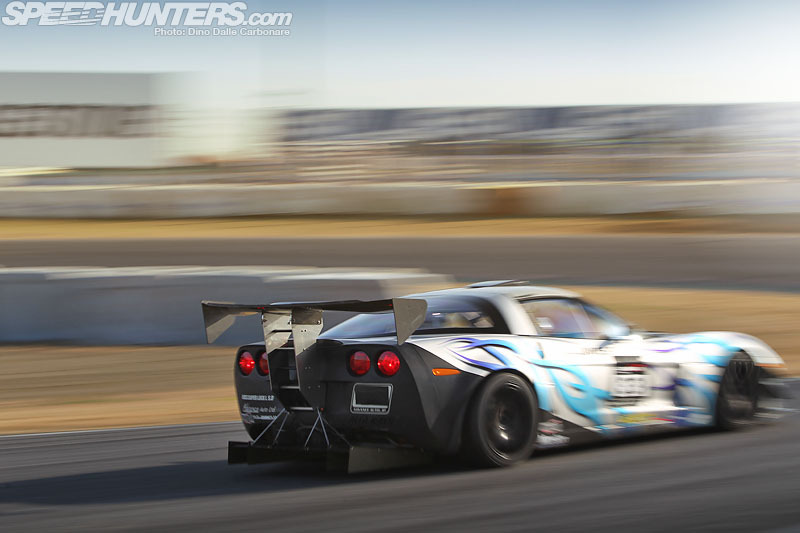 1:01.244 is what the Auto Produce Boss widebody GRB managed. Hard not to like the matte black on carbon treatment! Honda fans out there will be happy to see that Seeker entered their demo car at this year’s event, the only FD2 Civic Type-R present. Best time was a 1:03.766, awesome for an FF car. 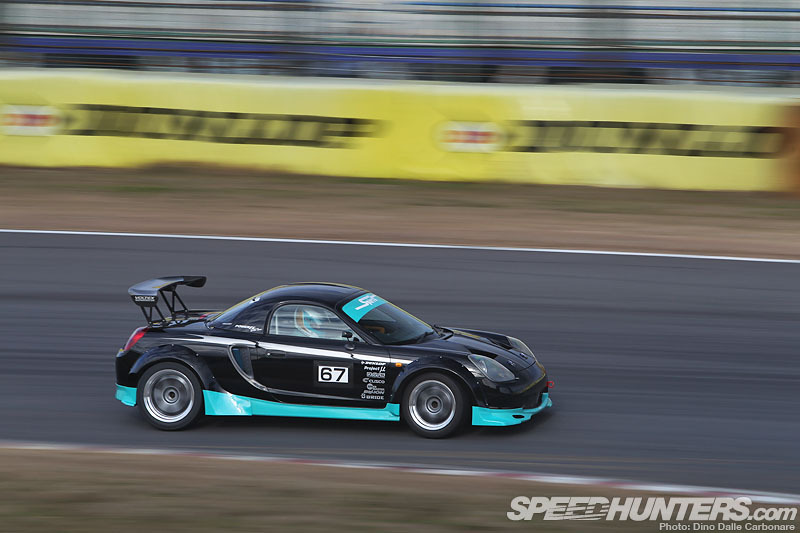 I’m very happy to see how much interest the “Outerplus with Ti Racing” Exige is generating in the comment sections. This car is a whisker from braking into the 56-sec (best of 57.176) and a pleasure to watch in action. Yes a feature will be coming in the New Year! 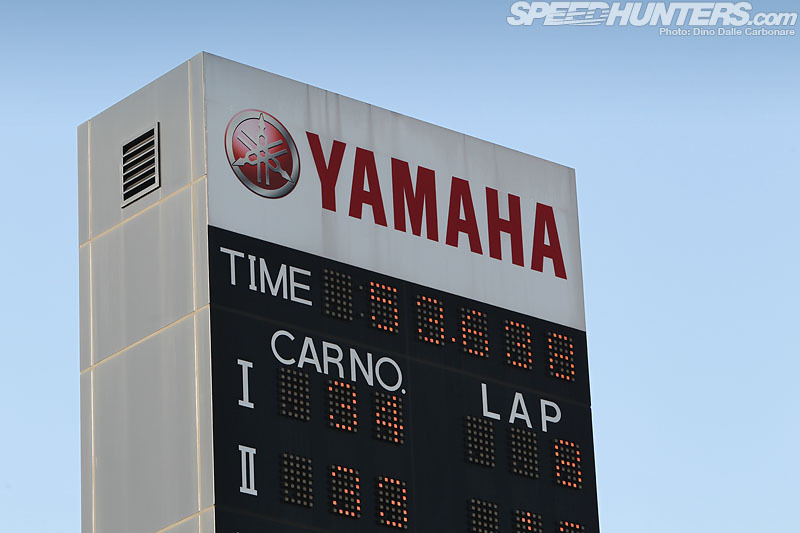 …the day came to an end as his 53.638 sec lap was announced by Manabu Suzuki who had been commentating all day on the action that unfolded. As soon as Suzuki drove his S15 back to the paddock Orido and Taniguchi came to congratulate him on a job well done. But this isn’t it. Suzuki isn’t done yet. We are still right in the middle of time attack season, the climate is perfect and his S15 seems to be working faultlessly for once. That about wraps up the coverage for this year’s Super Battle. Hope you’ve all enjoyed it as much as I have, an event with so much energy and awesomeness all rolled into one that has been going strong for over two decades. December 2013 can’t come quick enough! Knarley M3! That Corvette was prety sweet too. 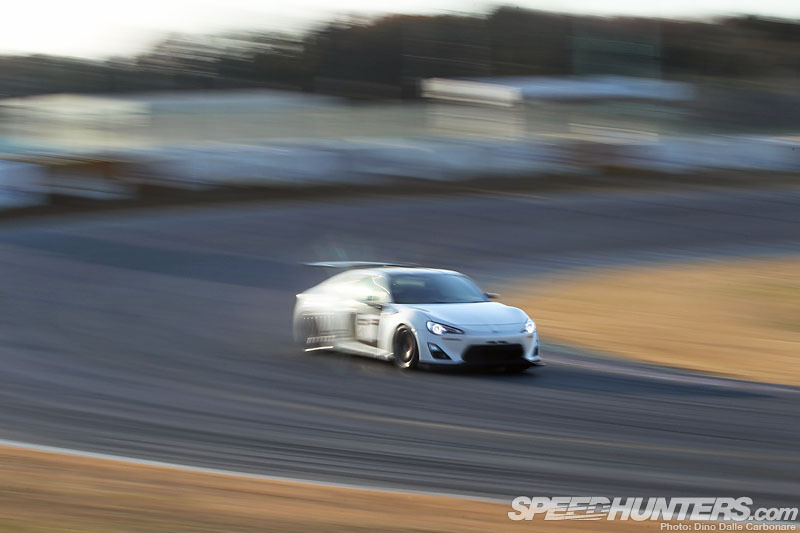 I'm not surprised to see so many tuners developing the FRS/GT86/BRZ (Toyobaru) as it's a fantastic platform with great potential. A very interesting Scirroco at the event. It was cool to see some different cars battling with it out with the favorites. 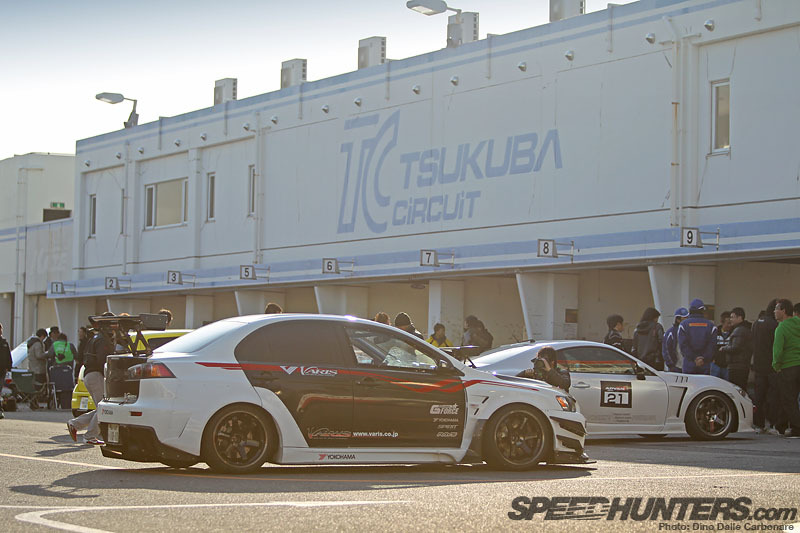 Seeker's FD2 Civic R is proper in the performance and looks department and of course the ASM S2000 being one of my favorites! Simply put every car here is awsome. Like pearing into a HotWheels box. i really like the pic where taniguchi and orido were together with suzuki. i sense a lot of camaraderie and love of the sport. good job guys! 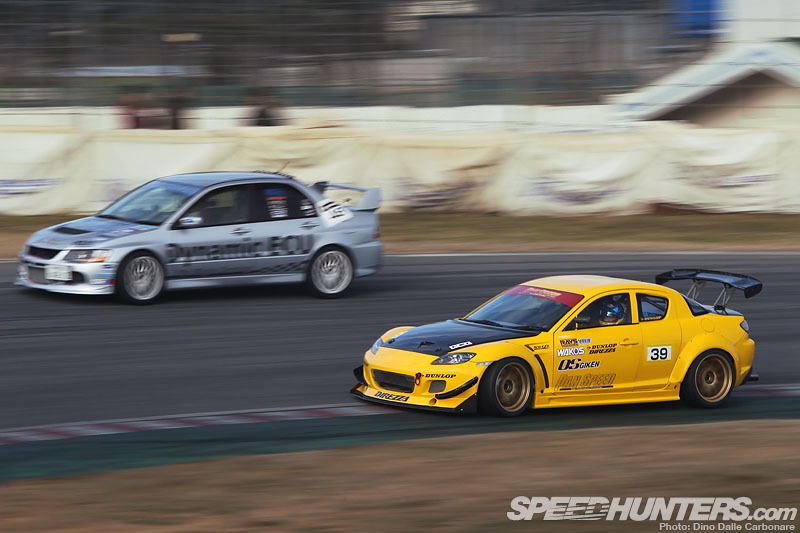 There's something special about RX-8s, especially yellow ones. Damn, was hoping for a bit more about the G-Force Evo X. 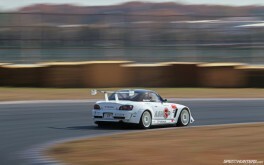 Great photos as usual Dino, when's the next chance Under Suzuki will have at Tsukuba to set the record? Awesome post, now I'm straight on gt5 trying to beat these times! Top man for posting more Outer Plus Lotus pics! 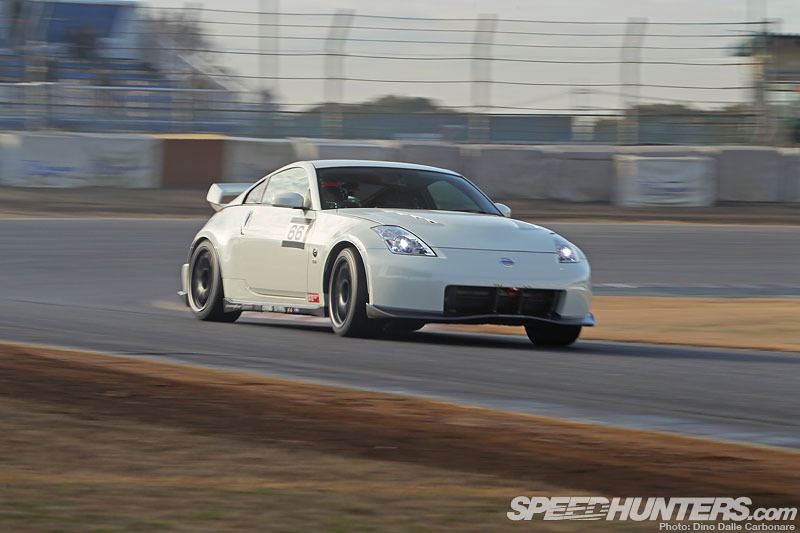 Gota say Dino, pretty disappointed in the lack of coverage of the GTR's in these posts.. the undoubted king of Tsukuba... I think I only saw one out of all the posts? 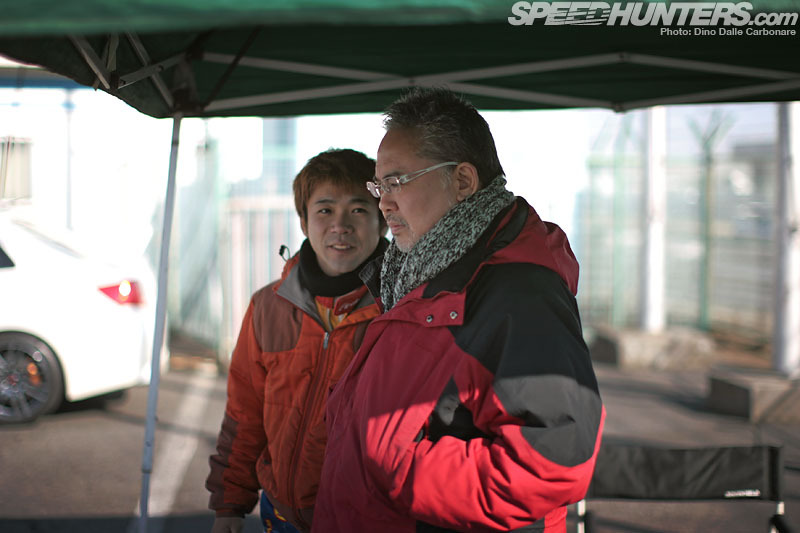 Anyone know where to find a jacket like the ones Taniguchi & Orido are wearing? 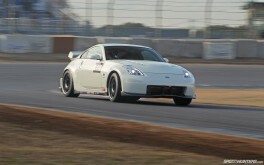 @KyShro Become a sponsored driver for Advan? Anyway to get a high res version of that GVB shot? Was Suzuki testing 2 different wing configurations or is that an old photo with his single element wing? Awesome coverage Dino, wish I was there. You said that civic did a great job for a ff with a 1:03.766, but that Golf GTI is also ff and ran a 1:01.370. I'd say the GTI did a better job. Awesome!! i hope to created and make some events in Puerto Rico!